Do you experience problems with digestion, mood, sexual desire, or skin texture and tone? They could be linked to a hormone imbalance. The healthcare experts at Profound MedSpa know the valuable role hormones play in your overall health and wellbeing. That’s why they offer bioidentical hormone replacement therapy (BHRT), including the Wiley Protocol®, at their Trooper, Pennsylvania, practice. Call today or use their convenient online scheduling service to book your evaluation. Bioidentical hormone replacement therapy (BHRT) is used to treat men and women experiencing a drop or imbalance in their hormone levels. The hormones are derived from natural plant sources that are chemically identical to those produced by your body. Estrogen, progesterone, and testosterone are the most common hormones replicated and used in BHRT. What is the Wiley Protocol®? Designed for women, the Wiley Protocol is a holistic approach to hormone restoration therapy that helps rebuild hormone levels to mimic those of healthy young women experiencing normal menstrual cycles. The creators of The Wiley Protocol prefer to use the term “biomimetic” to more accurately describe their protocol’s careful use of natural, organic plant substance to match hormones produced by your body. 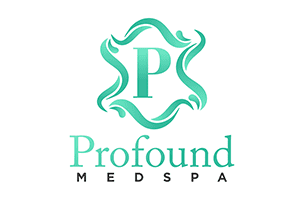 The Profound MedSpa is one of the few facilities in Pennsylvania that provides this innovative treatment. What do my hormones have to do with aging? Hormones play a critical role in all aspects of your health. For example, drops in normal hormone levels can affect your skin’s thickness, hydration, and levels of elasticity. These issues all contribute to the development of lines and wrinkles. In the past, the effects of reduced or imbalanced hormone levels were considered part of the natural aging process and something you must learn to accept or resolve with surgery. That’s no longer necessary with BHRT. Don’t underestimate the role that hormones play in your aging process and what rebalancing your levels can do to free you from those effects. If you’re wondering about how your hormones are affecting you, call Profound MedSpa for an appointment or book your evaluation online.